The number of potentially deadly infections from contaminated medical scopes is far higher than what federal officials previously estimated, a new congressional investigation shows. As many as 350 patients at 41 medical facilities in the U.S. and worldwide were infected or exposed to tainted gastrointestinal scopes from Jan. 1, 2010, to Oct. 31, 2015, according to the Food and Drug Administration. A separate Senate investigation released in January found 250 scope-related infections at 25 hospitals and clinics in the U.S. and Europe. That probe looked at a narrower period, from 2012 to 2015. The FDA supplied the new information in response to a yearlong inquiry by Rep. Ted Lieu, D-Calif., and staff of the House Oversight and Government Reform committee. The FDA says it is not permitted by law to name the medical facilities involved in the 41 incidents it disclosed. But the device manufacturers weren’t identified either. The full report is expected to be released Friday. In a Feb. 15 document sent to the House Oversight committee, the FDA listed 404 patient infections and 44 more patients who were exposed to contaminated duodenoscopes. But the regulators warned that these device reports “likely contain duplicate patient reporting” and “we estimate the number of unique patients reported to be 300 to 350” for infections and exposure. The FDA told the House panel that scope-related infections or contamination occurred at 30 facilities in the U.S. and 11 overseas. “I was surprised at how much larger the number of infections was and it made me even more upset about the harm these device manufacturers have caused.” — Rep. Ted Lieu, D-Calif.
Lieu said the House investigation uncovered significant gaps in existing law that contributed to a series of superbug outbreaks nationwide, including the ones at UCLA’s Ronald Reagan Medical Center and Cedars-Sinai Medical Center in Los Angeles. Both outbreaks involved scopes from Olympus Corp., a device manufacturing giant based in Tokyo. At UCLA, three patients died and five more were sickened by antibiotic-resistant superbugs. Lieu said he’s introducing two bills Friday aimed at improving patient safety in response to the House findings and reporting by the Los Angeles Times on the outbreaks. Lieu is filing a bill, known as the DEVICE Act, which would impose new requirements on manufacturers. The companies would have to notify the FDA when they issue safety warnings in other countries related to the design and cleaning of their devices. The legislation also would require manufacturers to notify the FDA when they change the design or cleaning instructions of their devices, regardless of whether those changes warrant new government approval. Lieu will file an additional bill, a companion to legislation that Washington Democrat Sen. Patty Murray has already filed. It requires the cleaning instructions for medical devices to be scientifically validated to ensure they actually work. Meantime, federal prosecutors continue to investigate Olympus and two smaller device manufacturers, Pentax and Fujifilm, over their role in the outbreaks. The scope infections occurred during a procedure known as endoscopic retrograde cholangiopancreatography, or ERCP. Nationally, more than 650,000 ERCP procedures are performed each year, in which a scope is threaded down a person’s throat to diagnose and treat problems in the digestive tract, such as gallstones, cancers and blockages in the bile duct. In January, Olympus began a voluntary recall of its duodenoscopes and pledged to make repairs to reduce contamination risk. The existing scopes remain in use while the company works on those alterations, which it expects to finish by August. Olympus said it needed time to review the congressional report and legislation before offering specific comments. A spokesman for AdvaMed, a device industry trade group, also declined to comment until the latest information could be reviewed. In the past, industry officials have said the FDA already has extensive authority to ensure the safety and effectiveness of medical technology. 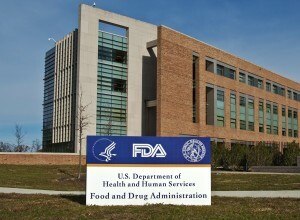 The FDA said it doesn’t comment on pending legislation as a general policy. The legislative fixes seek to address actions taken by Olympus, the leading maker of gastrointestinal scopes in the U.S. and worldwide. The Los Angeles Times reported in December 2015 that Olympus kept selling its scopes despite warnings from a 2012 superbug outbreak in the Netherlands. In that case, a mechanical engineer hired by Olympus and a Dutch hospital found that the scope’s design could allow blood and tissue to become trapped, spreading dangerous bacteria from one patient to another. In his report, the independent expert called on Olympus to conduct a worldwide investigation and recall the scopes if similar problems turned up. The company issued an alert in Europe in 2013, but failed to warn U.S. hospitals about the Netherlands findings. The company didn’t issue a warning in the U.S. until February 2015, a day after the Times broke the news of the UCLA outbreak. “Based on the Times reporting it was shown Olympus notified European authorities well before they told the FDA anything. This bill would correct that loophole,” Lieu said. Olympus had redesigned its duodenoscope in 2010 in a way that enabled bacteria to become trapped in tiny crevices at the tip of the device, according to experts and regulators. Later, the FDA determined that Olympus had been selling the device in the U.S. without the necessary government clearance. Since an FDA warning went out in February 2015, health officials have urged all hospitals to review their cleaning procedures for these reusable scopes and consider additional steps to minimize the infection risk. In response, many hospitals started testing scopes for contamination after cleaning and holding them in quarantine for 48 hours to check for bacterial growth. Lieu’s legislation would require the FDA to further regulate the rapid-assessment tests that many hospitals now use on medical devices to determine whether bacteria are present. Experts urged the House panel to pursue regulation to ensure the tests actually work as intended and don’t produce misleading results. “There is no currently available rapid test that has been properly validated that can be used post (high-level disinfection) on duodenoscopes to show that there are no viable bacteria and that the endoscope is safe to use on the next patient,” Michelle Alfa, a professor of medical microbiology at the University of Manitoba, wrote to the House committee on Jan. 19. The ongoing risk to patients was highlighted by a report Olympus filed with regulators in February about another possible outbreak that included two deaths. The company notified the FDA about eight patients who became infected after being treated with an Olympus scope at an unnamed medical facility. Olympus and the FDA have declined to comment on the specifics of the report. Device manufacturers are required to file reports to the FDA within 30 days of learning about an injury or death that may have been caused by a device. That latest report and others submitted by manufacturers since Oct. 31, 2015, aren’t included in the tally the FDA gave the House committee.